Drivers from Miamisburg, OH know that Toyota is a quality-driven automaker–that’s why regardless of whether you’re shopping for a new Toyota model or one that is used, you know you’re getting a great value. That being said, cars crafted by the esteemed Japanese automaker need routine maintenance in order to continue delivering the exceptional safety and performance for which they are renowned. That’s where our services come into play. 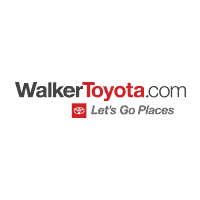 From the simplest of oil changes to the most extensive of comprehensive automotive overhauls, our Walker Toyota service center is one place you can trust when searching for high-quality, detail-oriented care at the hands of skilled service specialists. Get the tires designed for your Toyota. See our Tire deals and special offers. Show genuine love for your Toyota by taking care of it with Genuine Toyota Parts. Our expert technicians are commited and trained to meet your satisfaction. Sit back and watch videos of your vehicle’s features and a whole lot more. The crew we employ here in our service department are bar none, among the very best around. With years of experience under their belts, as well as the most up-to-date training and cutting-edge technology and equipment, we would argue that there’s no band of auto technicians around that’s more ready and raring to take on any and all of your maintenance and repair puzzles with complete confidence and ease. Plus, as a whole we are dedicated to only using the very best, genuine OEM-approved parts and accessories when conducting our services, so you can rest assured that anything that has been tweaked, replaced, or tinkered with is entirely up to snuff with both your–and the Toyota brand’s–standards. Give us a call at 888-710-7413 to schedule a service appointment, or come by Walker Toyota, serving drivers from Dayton, Middleton, Springboro, Cincinnati, and hop into our express lane for quick, high-quality service! TV, Wifi, Coffee, Kids area, we also have other beverages like water, OJ, Apple juice. As part of the Toyota family, your exceptional ownership experience starts with ToyotaCare, a no cost service plan with 24‑hour roadside assistance.